Light golden hue with powdery sweet, stone fruit and green apple scents. Palate--First impression was too acidic--and I like acidic whites--but then seemed to moderate with citrus and lemon fruit and dry as a Kansas wheat field in July. It has a nice texture of buttery cream with fruity finish. This wine was sent to us free of charge for review. Semillion is often a blending white but also a late harvest grape producing nice desert wines but this is a great food wine! This wine has an ethanol content of 14.2% which is a monster white wine. As a food wine it is really nice and able to stand up to something as bold as cocktail sauce served with our fresh shrimp appetizers. And yet it was clear enough to pair really well with our wonderful spring vegetable risotto alfresco in our vineyard. At $16 it is a surprisingly bold and versatile wine so raise a glass. Nose: juicy plum and blueberry nose. Palate: light and thin palate. dry hay feel tannins at the back. It leaves me feeling "Meh". Finish: grape and grass stems. soft, thin finish. Overall:This wine was provided free of charge to The Wine Cask Blog in exchange for a review. I have seen it listed for $10-15. Remember that appreciating wine is enjoying what you personally like. Prices and labels and vintages can never tell you what you like. So you try wines and find what fits YOU. Overall I did not enjoy this wine. It is thin and weak without much body. The juicy berry nose is quite nice and the wine is well put together but it lacks character and definition. 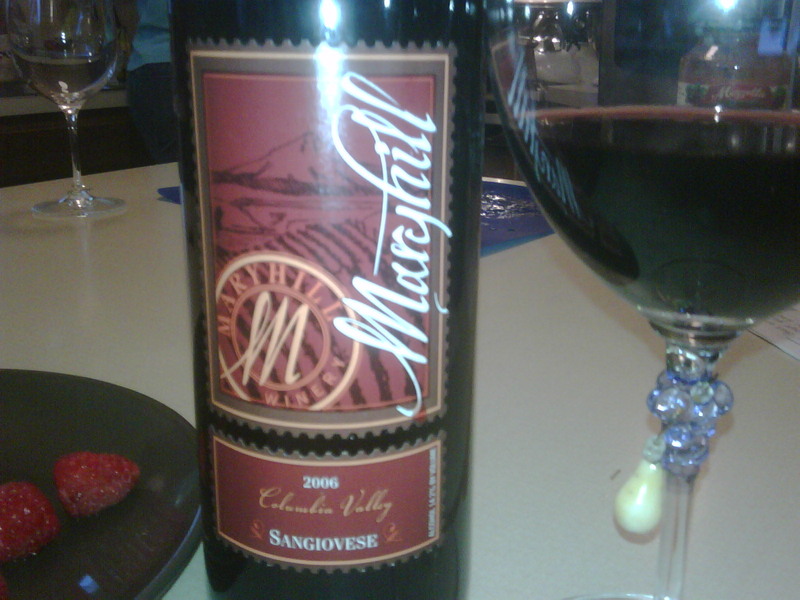 Maryhill Winery in Washington State makes some great wines. I enjoyed their 2006 Sangiovese that I reviewed earlier. This 2008 Winemaker's Red is not in that category in my opinion. Still, raise a glass! Deep Purple hue with wild forest floor and blackberry aromas. *Palate: A little tight but solid Zin flavors of blackberry and spice yet thin in texture. I don't think I have ever written a marginal review on any of Rosenblum's single vineyard Zins. There's a first time for everything. I obtained this over the internet for $20 which was half price of it's normal selling price. Candidly, Cline's $8 table variety Zin is as good as this price single vineyard. Unusual! Raise a glass of Cline. *Wine Spectator rated this wine 90 points. I trust their review so I have to conclude this bottle is a fluke (bottle variation? Poor storage?) It had no sign of being corked. Nice garnet appearance with ample dark fruit aromas with plenty of ripe plum and some real nice licorice, cedar and a hint of blueberry. Palate: good first impression with a bready/berry under layer structured on relaxed tannins with a blueberry finish. I decanted this 2 hours before tasting and served it with a charcoal grilled porterhouse. The pairing was fine but the wine just didn't stand out. At a $30 price tag, I would expect it to give me something to remember it for. It is a solid wine, but there are innumerable Cabs out there for half the price that are as good or better. At $30, I expect to be impressed rather than taste just another "also ran!" Would be better at the under $16 price point. Palate:smooth and even with a firm acid core that makes it stand up to butter and cream centric dishes. Finish: grass and hay with some creamy end notes. Overall: The Wine Cask Blog was sent this wine free for review. I have seen it listing for about 13 USD.The Austrian Wine Marketing board supplied the wine. This is a nice warm weather wine that has a good crispness from the acids but is not so sharp as to be cutting. This creates a fullness in the mouth that pairs well with summer snacks. Raise a glass to wine from Austria! Nice medium golden hue with mouth watering pear and green apple perfume scents with sweet powdery tropical fruits. Wow! This is one of the best Chenins I have ever had. I paired it with sushi (which means the challenge of wasabi and ginger) and it was simply wonderful. At $15 this is a grab me and raise a glass wine! 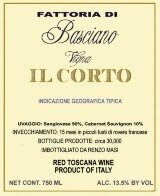 Here's a super-Tuscan blend of Sangiovese and Cabernet Sauvignon that's well made, showing nice layers and great texture. It should benefit from a few years of cellaring. If you haven't spent much time tasting the red wines of Tuscany, this is a great time to jump in. While prices of the famous names are in the hundreds of dollars, there's a far bigger selection of wines in the ten, twenty, and thirty dollar range than ever before. I've tasted a half dozen red wines from Tuscany this year, all under $25, that are worth stocking up on. This is one of them. While the list price is around $24, I paid $17 recently. For the money, this wine over-delivers with dense layers and supple tannins Raise a glass! South Africa is hosting the soccer World Cup this Summer, so grab a South African wine to celebrate. If you're looking for a place to start, try this Cabernet from Excelsior. It's one of the top selling wines from this country and presents a dark, fruity flavor profile. I've tasted this wine every year since 2002 and in the past it sometimes had an odd plastic aroma. Not so with the 2007. It's quite good. And the typical price is a mere $8-10. Raise a glass to South Africa, and the beautiful game! This Grand Vin De Bordeaux from the hallowed vintage of 05 presents with an opaquish garnet hue with nice blackberry aromas with a tart raspberry note accompanied by herbal fruit notes. Palate--Cinnamon on first pass with minerals galore and a nice bready,berry fruit foundation with fully integrated flavors and tannins. After breathing there is a nice evergreen/pine flavor and a relaxed finish. This Bordeaux from the Lussac Saint Emilion is absolutely stellar! I paid $19 for it maybe year ago and it is supremely at peak and drinking wonderfully. We had a NY Strip steak on the grill with but it could have hamburger or anything else. When you love the wine, you can make it work. If you happen to find this "out there" grab it and raise a glass. Palate:Spicy and warm. Lighter body than the nose would suggest. Vanilla notes come forward. Finish: warm and lingering with some heat and "spikiness" that slightly detracts from an otherwise delightful wine. Overall: This wine was sent to The Wine Cask Blog by Maryhill Winery for free in exchange for a review. This is a heavier Sangiovese wine that is packed full of flavors and character. With very nice spice and plum smells the mouth feel is quite nice. The spikiness at the back may come from tightness that will open up and relax as the wine continues to breathe. It shows mature and even slightly older in the glass than I would have expected. After about an hour of breathing the spikiness at the back of the finish has given way to delicious violets and vanilla notes. Delightful. A very nice Sangiovese from the Columbia River Valley in Washington state. Washington State simply continues to shine in the world of wine. This wine was sent to the WCB by the good folks at L'Ecole No.41 for review and this one is a winner! Comprised of 93% Syrah, and 7% Grenache. Its presence is all Syrah! Intense black cherry hue with wonderful blackberry, black cherry and rich plum bouquet with blueberry pie in the background. This is a big wine full of rich berry and a nice finish of bitter sweet baker's chocolate with more fruit behind it. Finishes with a touch of cedar once it airs out and a light mocha finish. This wine was aged in barriques for 18 months and is masterfully made. I would LOVE to try it again in two more years. It should be amazing. We raised a glass with BBQ'd ribs and it was plenty bold to hold up to all the smoke and burnt deliciousness of my super heated char. This wine will run you around $25 and is a solid value so raise a glass! Deep black cherry hue with dark berry and tart raspberry note. With a little breathing it bursts forth with smoke laced berries and a touch of cocoa. Palate--Juicy core with some tannic liveliness and slight astringent feel. Tart berry fruit and smoke with black cherries and cola with a mineral finish. At $11 this is one of the better Malbecs I have had. The layers are nice and a break from the ubiquitous Malbecs out there at this price point. Raise a glass! This wine was gorgeous from the first sip to the last. It's a big style Cab that's very polished with great texture and flavor. I highly recommend it for immediate enjoyment. I got a great restaurant deal, paying $95 for this wine that retails for $80-85. These kind of deals are still available even as the restaurant business begins to rebound from last year's slump, but you need to look closely or ask a few questions. Most wines are a ridiculous rip-off in the pricing model that's so prevelent in the US. I would return to this restaurant just to order this wine again, which is considered an "under the radar" Cab garnering huge scores from the critics. Here is another Aussie wine from McClaren Vale. Presents with a deep black cherry hue around pronounced dark berry fruit with big green pepper and sweet notes of ripe black plums, berries, cigar box notes with more sweet fragrant fruit. Rich, ripe plums and black cherry fruit finishing with a little smoke. I don't have much experience with Aussie Cabs but this is really nice. I paid $17 for it--on sale from $25. It is a nice wine in all ways. We grilled up a steak and it was perfect so raise a glass. New Zealand Sauvignon Blanc rarely disappoints. Here's a well-regarded producer who delivered exactly what I was looking for to compliment my Portuguese seafood stew last night. It has a nice citrus core, good acidity, and is focused in flavor. This wine is priced at $20, but you'll likely see it marked down a bit from that. The cozy neighborhood restaurant I stopped in to last night with my wife had it priced at $28, which was a good deal. Raise a glass! This Aussie is a nearly black purple/garnet with ripe bing cherry aromas, spice and cola. Palate--really soft tannins with a luxurious mouth feel with bready dark fruit but needs air. This was a decent quaff especially at the sale price of $13 but at the regular price of $20, it wouldn't have been a value wine. But it was a sale so raise a glass! Nice brilliant ruby-garnet hue with aromas that are spicy with hints of cinnamon with big berry aromas that if I didn't know, would make me think Grenache not Pinot Noir! Palate--unique, rich presence with some chocolate and really dark berries with a smokey finish. One of my favorite wines and a super value wine, I review it here again and it is an intense magenta/cranberry jelly hue with sweet cherry/strawberry and tart pie cherry aromas with a touch of minerals and cigar box notes. Palate--juicy core with a blend of sweet wild cherry and dried cherries as well. Plenty of fruity bready highlights and just one delicious, drinking wine. This will make our "stuffed shells" dinner a veritable Italian delight. We're raising a glass cuz Sam's Club now has this wine for under $13 where before I had to drive 7 hours round trip, paid $17 a bottle plus gas and tolls--and it was still worth it! After an hour or so, this wine began to open up nicely with dense fruit and chocolate layers. Made from primarly Syrah, it has a profile that allows for immediate enjoyment as long as you give it time to breathe. If you cellar it, the wine should develop nicely for 5-10 years. 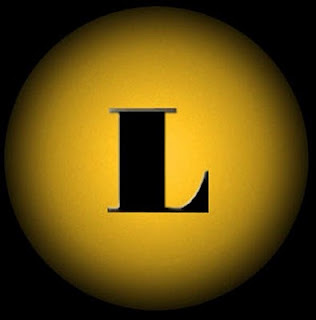 My experience with Lewis Cellars has been limited, but the wines seem to be of very high quality. Expect to pay around $60 for this bottle, and raise a glass! This wine took a while to open up, and improved drastically as it came up in temperature from the cellar. It developed more fruit but also more "garrigue" herbal notes like lavendar and dill. Rhone wines have been remarkably good in recent years. 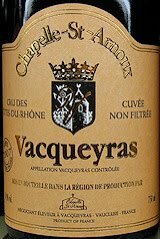 Chateauneuf-du-pape leads the way but Vacqueyras wines such as this can deliver incredible value. I paid only $11 for this bottle on sale, although $15 seems to be more typical. Raise a glass! Nose: Warm black pepper and mashed blueberry/raspberry/cherry presents itself surrounded in a vanilla spicy oak. Palate: Warm, bold and full on the palate. This is a delightfully crafted Zinfandel. In the mouth this Washington State red wine is layered and full. Finish: Warm Vanilla and more fruit at the end. Overall: This wine was sent to us at The Wine Cask Blog free for review. 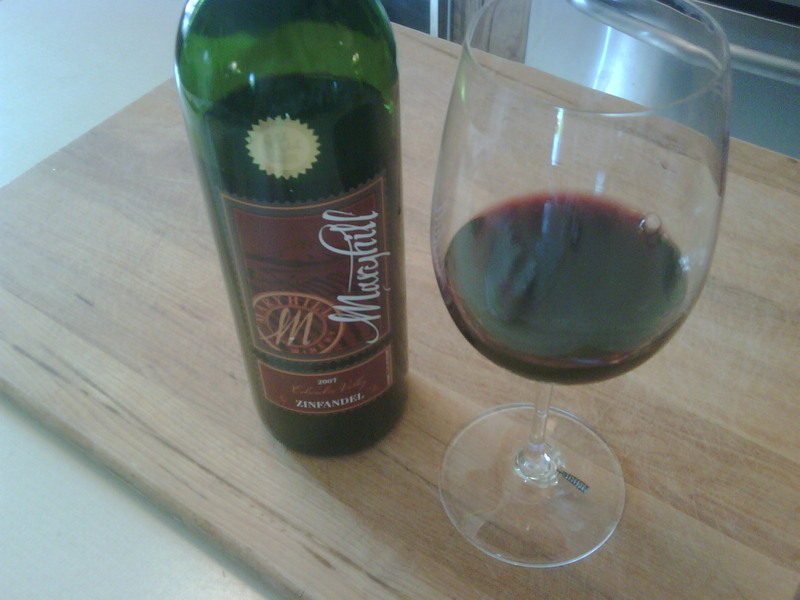 On initial tasting this 2007 Washington State, Columbia River Valley, Zinfandel presented quite tight so I decanted it. It is big fruity and accessible. A very nice Zinfandel. Decanting opened it up from its initial tightness and presented more nice berry forward flavors and smalls. Overall a very nice zinfandel from Mary Hill Winery in Washington State. Served to me blind, I boldly proclaimed, "This is a younger wine than the first one." Nice garnet hue and a bouquet of caraway seeds, dill and pipe tobacco. Wonderful! Palate--Sweet, bright young fruit, tasty and deceiving concerning its age. It is fairly uncomplicated, delicious and I was lost in every way trying to identify this wine. This is a fine example of the differing aging potentials of wines. The Chateau Pavie Decesse (below) appeared much older with the classic bricking (a brown reddish color at the rim of the wine) while this wine which was actually quite a bit older, still looked like it had years to go before it started going over the hill. This 19 year old wine will go for many more years. At $40, this wine will be around for another decade so raise a glass. So time of reckoning with my pretending I am a world class wine connoisseur. I tell (NW) it is a 1997-2001 Bordeaux or a Rhone --maybe Chateau Neuf. I confess that it is atypical for Rhone but was also atypical for Bordeaux. So it turns out I was right on with the age and certainly in the ball park with the region. At any rate, this St. Emilion, Grand Cru Classe--which is Merlot and Cabernet Franc, was wonderful and a real treat! It will run you anywhere from $60-$120 depending on where you buy it--like I said, it was a special weekend so raise a glass! This is a very good example of the Grenache that's being produced in California. It's a big wine with bold fruit, but it also has an herbal and peppery edge to it. It runs around $30. Raise a glass! This dark garnet Merlot was sent to us for review. It has tight aromas of black cherry and plum with tar and some baker's chocolate on opening. Palate--Big, thickish texture that is plush with some bready notes up front but is quite closed and needs to be breathed.With 20 minutes, the wine opens revealing some classic Napa Merlot flavors and aromas. This wine tastes "dark" and extracted with really nice tannins. This wine is well made and is classic Merlot. It drinks so well right now yet should hold for quite a few more years and might even reveal a bit more complexity. But right now, this is just an easy to drink, refined vareital and at $28 compared to Petrus--it's a steal. Raise a glass!